I think (hope) we might be coming to the end of coat season, but I still have this last one to share! What attracted me to this coat in the first place was the wonderful arrow-shaped pocket detail. Reminds me of the Carven coats I so loved from this winter (kind of a hybrid of these two). Like most vintage coats (or at least those that have survived this long), it’s very well-made and super warm. But here’s hoping I won’t need it until next year! PS I finally cracked and joined pinterest! Come procrastinate with me! This coat is lovely! It looks so good on you. I really like your pictures, too. Send your coat weather down to Florida!! That coat is gorgeous! But bring on the warm weather! i don't know what it is but you just seem to have something very ethereal and lovely about you. Oh the coat is beautiful! Ooo so 70's! Very chic look. Here here! Bring on the spring! I love this coat! 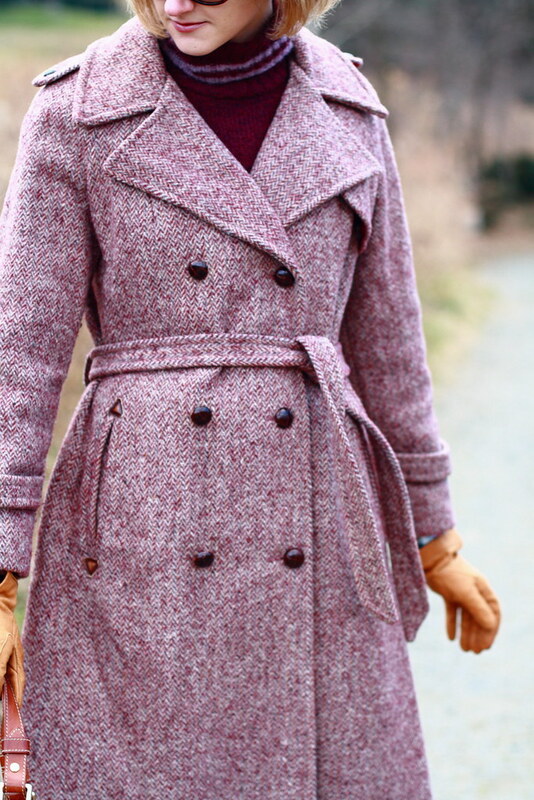 The tweed and mauve color are just gorgeous! Awesome coat! ANd I see we are on the same wavelength with the cobalt blue pants. This coat is so elegant, you look great! I adore your coat and jeans! Great color combo! 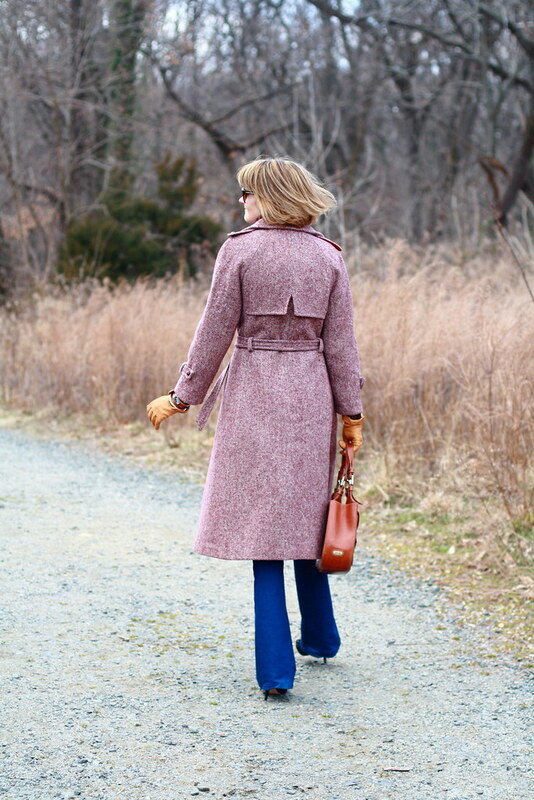 I love the coat with the cobalt jeans – that is a great contrast! Pretty coat! I can't wait to wear my trench coat this spring. love the coat. The leather gloves add an almost old school chic-ness to this look. loves it. oo love the coat… sooo perfectly chic!! No one does flares like you. love this pretty colored tweed!! I really hope it's the end of coat season too. I am so ready for some fun summer looks! Fantastic coat!! I love that style! where do you shop for vintage coats?? so lovely! !